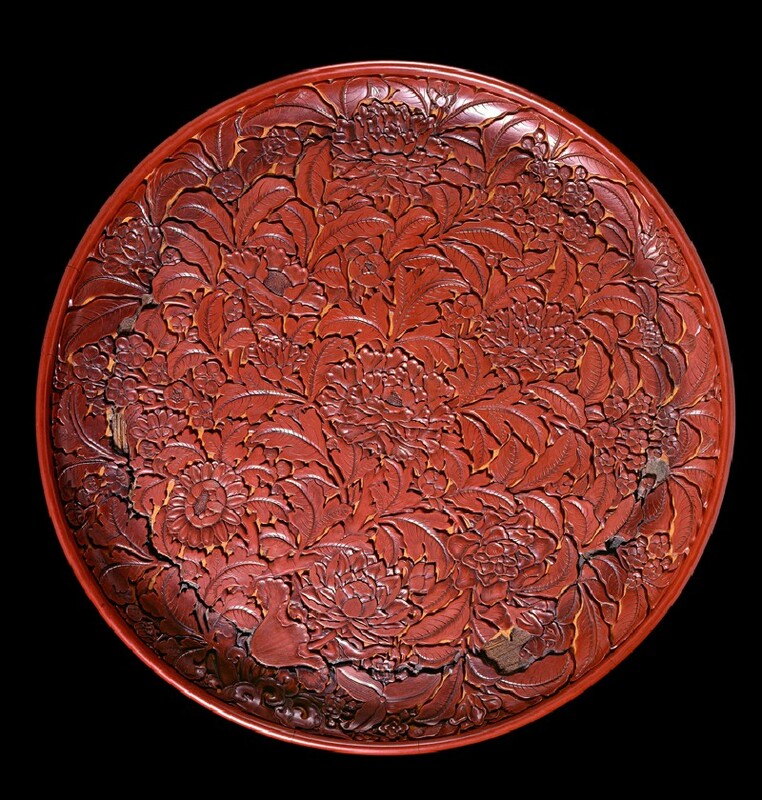 Carved red lacquer dish on wooden base with a fabric foundation. 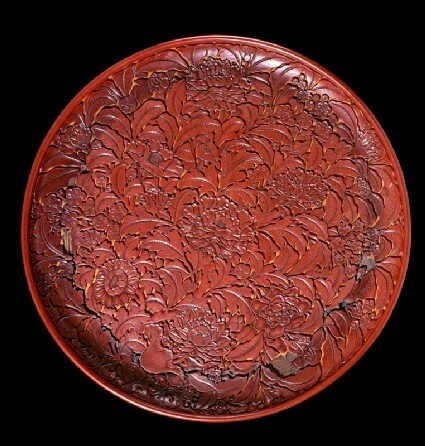 All over decoration with a central motif of a peony, and gardenia camellia, chrysanthemum, lotus, waterweed, peach, prunus and cherry blossom. Six character mark of Xuande 1426-1436 incised on the base. 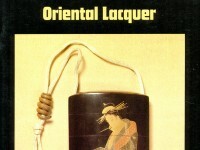 The decoration comprises nine different flowers, a rarity in early Ming design.